Wine Castellucci Miano Shiara - Royal Wine Merchants - Happy to Offer! 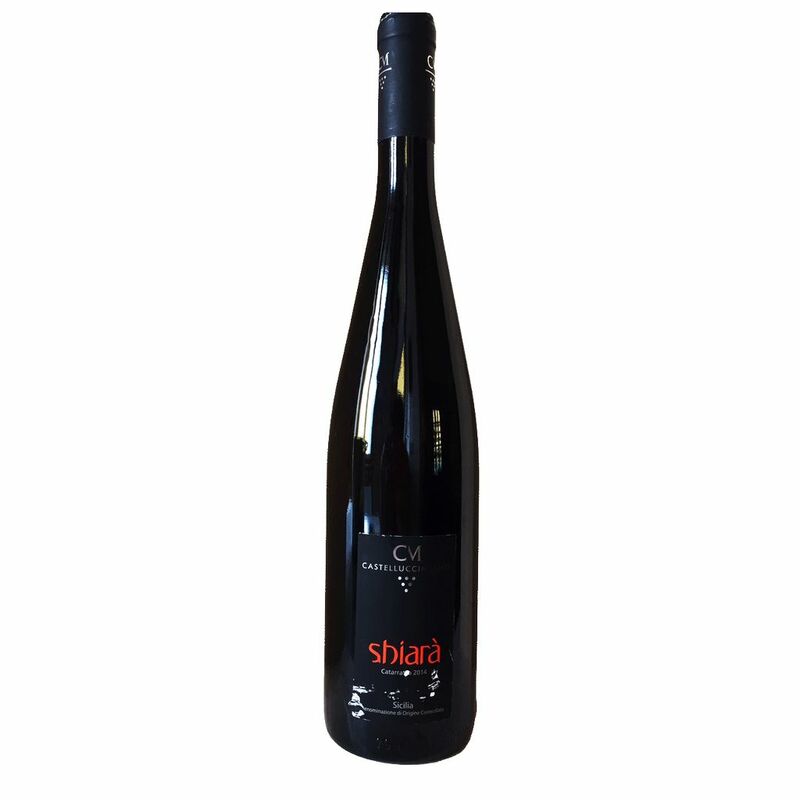 “Shiara” by Castellucci Miano is a Cru wine made with the native Catarratto grape of Sicily. While this white wine has merited prestige throughout the world, Shiara remains a superior white wine for the eclectic wine enthusiast and not for the masses. The reasons are many for its greatness. The vines are grown in a traditional alberello method and average age between 60 and 70 years old. The cru vineyards used for Shiara are located at 1,050 meters above sea level making it the highest vineyards in Sicily. The extremely high altitudes provide a continental climate and optimum conditions for fine wine. If stored properly, Shiara will evolve gracefully in the bottle for 10 years. Shiara presents itself with an explosive bouquet of exotic fruits that make it spellbinding and inviting. The meticulous mouthfeel adds a distinctive flavor profile in a well balanced mix of citrus fruits, ultra smooth textures, and crisp acidity. It’s a versatile wine that can be used for the cocktail hour or a fine seafood dinner. Its full body is chiseled to the ideal weight if you are going for a suave, sophisticated white wine. 100% Catarratto grapes manually cultivated in low yields and produced at a limited 3,000 bottles annually, was crafted for maximum concentration of flavor, depth, and surprise to satisfy the most demanding white wine connoisseur. Hand crafted in Sicily, representing the maximum expression of Catarratto.